Welcome to our Cottesmore Frame, the colours of which are officially Dutch Leaf and Black. 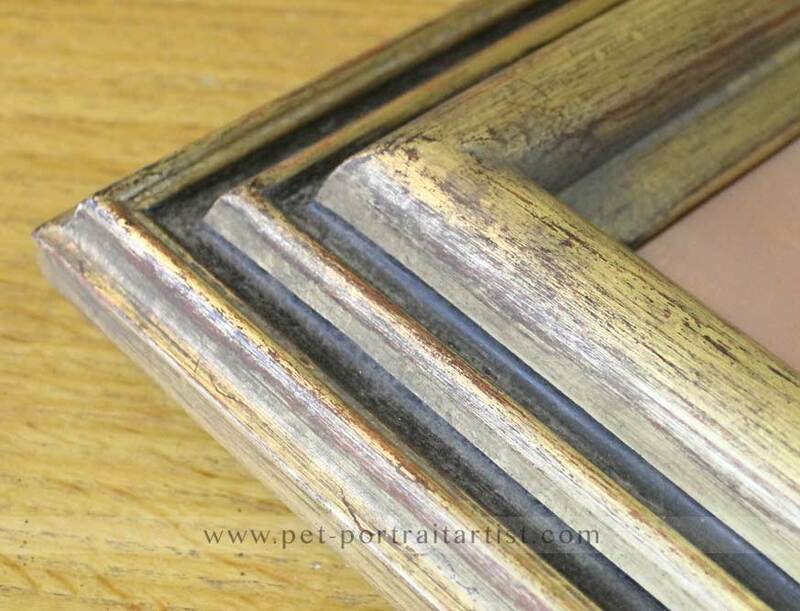 The frame has a cooler feel to our other gold frames and it is slightly less ornate. 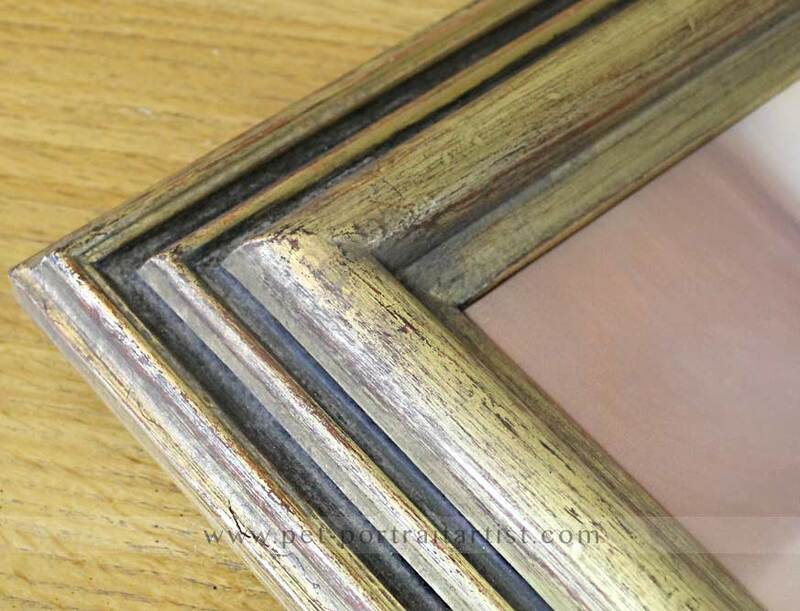 The frame has two hand painted lines of a distressed darkish tone in the central areas of the frame which really give a striking effect. The frame works well in a variety of different styles of home decor, as it not only looks traditional but it also feels quite contemporary and would work well home with quite bold decor and colours. 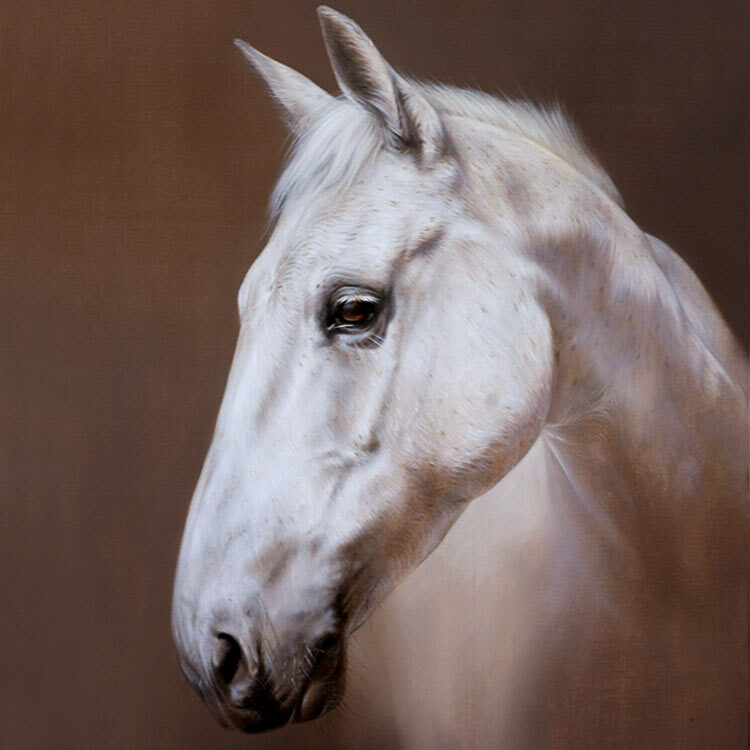 The Cottesmore frame matches beautifully with Nicholas' oil paintings. It really finishes them off well, particularly with a lovely softly angled edge on the inside which meets the canvas. 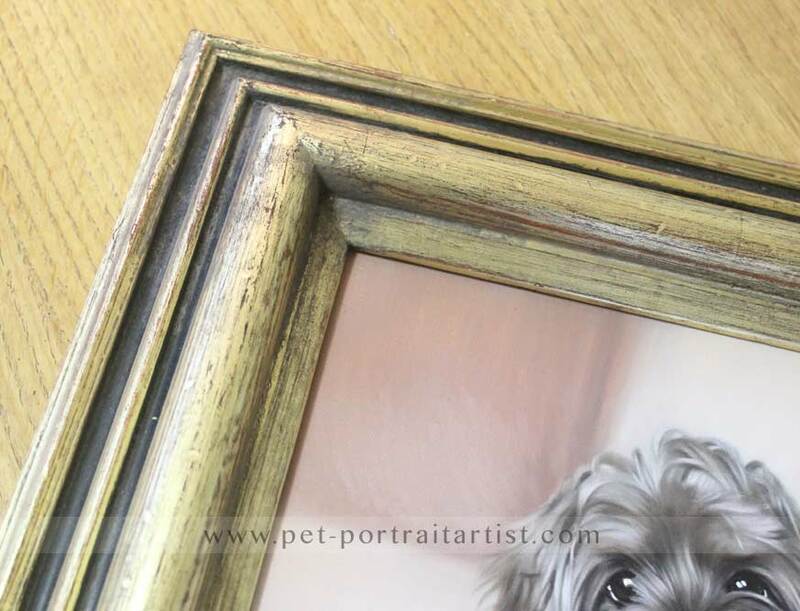 The width of the moulding is fairly wide at 3 inches so would suit canvases size 18 x 14 and above. Of course it can be used with all sizes if, like us, you like a wide frame around artwork. 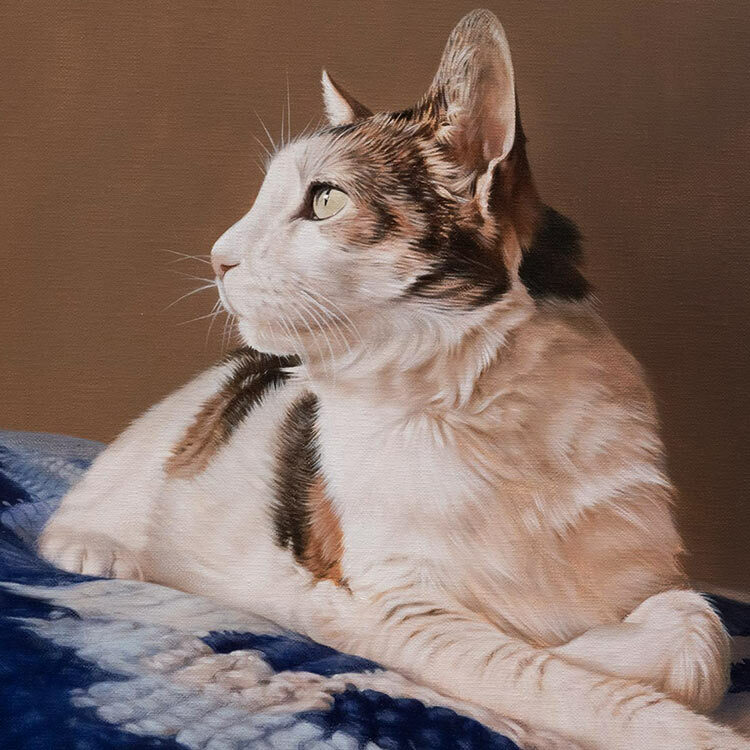 As you can see from the photos below the Cottesmore frame is striking and will definitely draw the viewer into view both it and the oil painting. 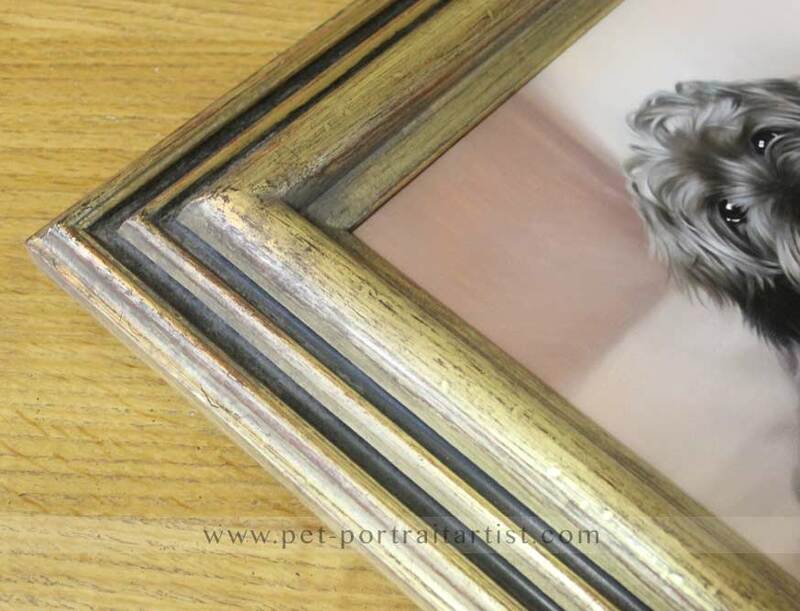 If you are interested in having this frame for your oil painting, please drop us a line and we can obtain a quote for you from our framers. Painting has arrived and we are both very pleased with it. I think you have caught the essence of both dogs very well. Sophie is always slightly worried and Daisy never had a care in the world. Daisy looks so beautiful. Our Engraved Plaques are the perfect accompaniment to any of our frames.